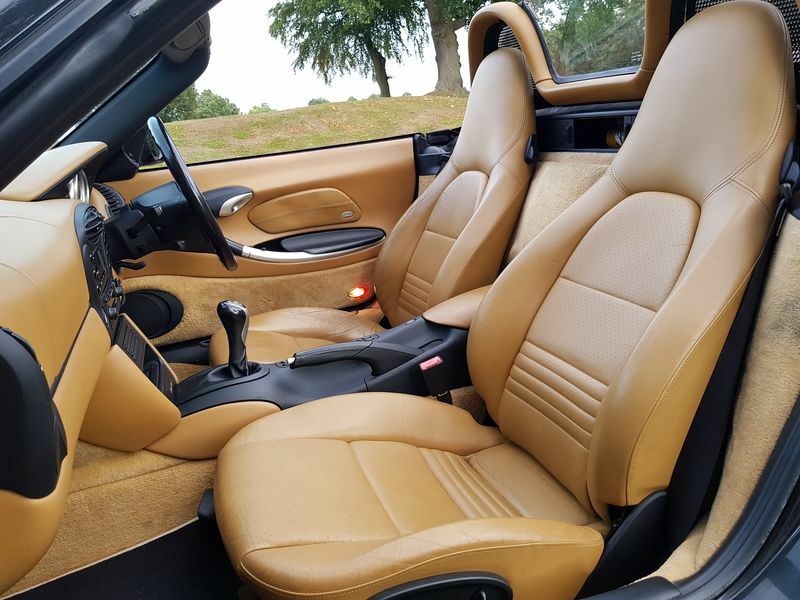 2001 Porsche Boxster 3.2 986 'S' Presented in the best colour combination in Black with Tan Leather Seats. Full Porsche and Porsche Specialist History. Low Owner Car. Black Hardtop with Heated Glass Window Included. 2 Keys. 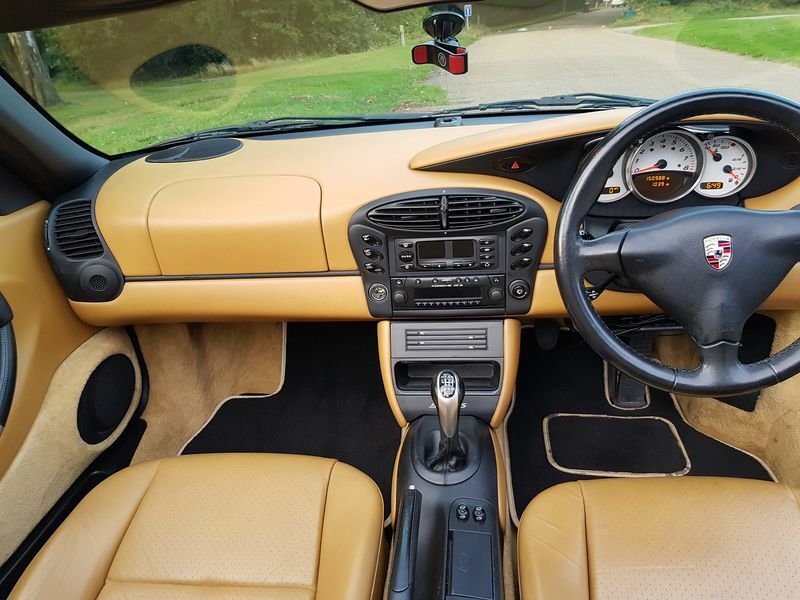 The car is in extremely good condition inside and out, the car was kept in an indoor garage by the previous owner. 03/2002 13k miles Porsche Main Dealer. 02/2003 21k miles Porsche Main Dealer. 01/2004 37k miles Porsche Main Dealer. 10/2004 49k miles Porsche Main Dealer. 11/2005 64k miles Porsche Main Dealer. 01/2007 74k miles Porsche Specialist. 01/2008 85k miles Porsche Specialist. 05/2009 101k miles Porsche Main Dealer. 05/2010 108k miles Porsche Main Dealer. 08/2011 113k miles Porsche Main Dealer. 01/2013 120k miles Porsche Main Dealer. 02/2014 125k miles Porsche Main Dealer. 10/2015 133k miles Porsche Specialist. 03/2017 141k miles Porsche Specialist. This is a no expense spared car with the owner still taking to the car to Porsche Main Dealer even when the car was almost 15 years old! In 2018 the full clutch kit and flywheel was replaced by a Porsche Specialist and a new rear window plastic fitted as the old plastic window split. All receipts to prove. 4x Pirelli Tyres all round with good tread. Bluetooth kit installed behind the head unit to play songs and take calls. The is fitted behind the headunit which keeps the front looking completely stock. This includes a microphone and you can use the buttons on the original head unit to change songs. This also has the new electronic hood and boot release switches, not all Boxsters have this. MOT due 13/12/2018, Happy to get a new MOT for the new buyer. The car is complete with windshield and toolkit. I have also fitted a LN Engineering / Bilt Racing 2QT Deep Sump Oil Pan Kit MY97-08 M96/M97 inc. X51-Style Baffle for added piece of mind. This kit cost £1,100 alone in the UK and adds almost 2 liters to the engine oil capacity and prevents engine oil starvation. If you know your Porsches you'll know this is a very expensive piece of kit and vital for engine health as preventative action against oil starvation which happened in my BMW Z4 costing me £1000's in a new engine rebuild, hence why I bought this from the beginning of my ownership of this car as I did not want this to happen again. 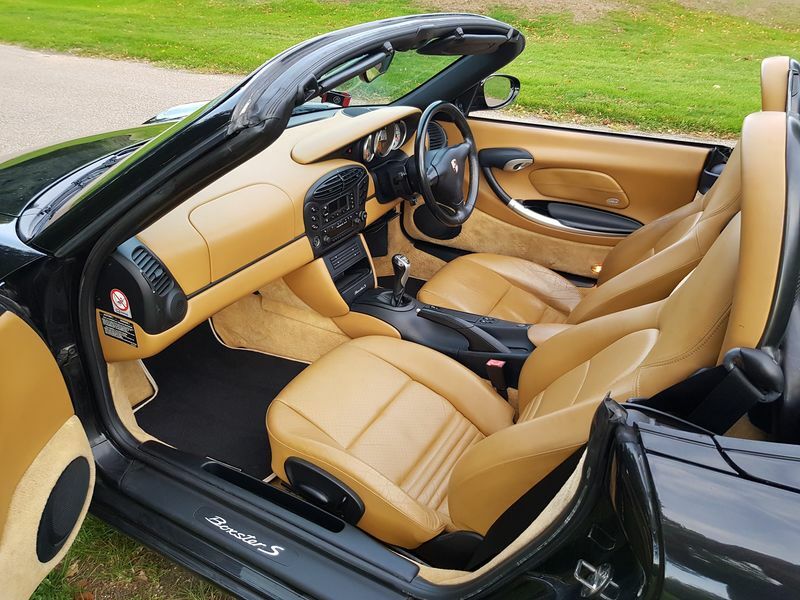 Don't let the millage fool you, this Boxster S is extremely well looked after with Porsche history and drives as if it only has 10,000 miles on it. Sure there are other Boxsters out there with 80,000 miles on it, but this is meaningless if it hasn't been looked after properly. Also, this Boxster being at 151,000 miles, you can be sure that all those typical parts that would normally start to fail at around 100,000 - 120,000 miles would of all been replaced by now. Asking price? Did I miss it in your post?